It seems there are still several Big Bangs left in the Hublot zoo. The latest in a line of animal inspired Big Bangs is the Big Bang Zebra. This follows hot on the trail of the Leopard Bang and the Boa Bang. Apparently Zebra is the ‘in’ print this year with zebra stripes emerging in force by day and by night amongst sophisticated It girls the world over. 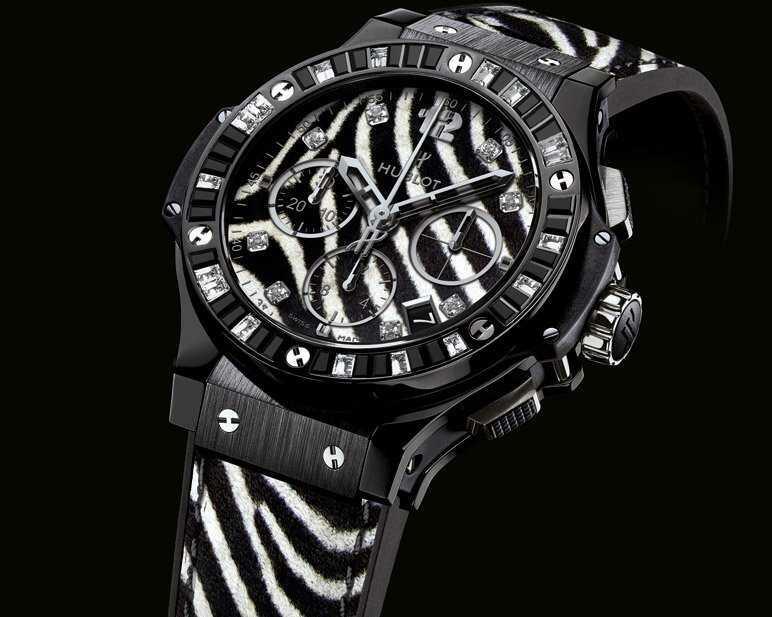 The Big Bang Zebra is a 41 mm diameter, black ceramic, ultra-feminine watch, its bezel set with 48 topazes and baguette-cut spinels and its zebra-print dial is showcased by eight small bezel-set diamonds designed to capture the light. The watch is equipped with an automatic mechanical chronograph movement for the connoisseurs, offering both style and practicality with water resistance to a depth of 100 metres. As with the Boa Bang and the Leopard Bang, the Zebra Bang comes on a strap which perfectly matches the animal hide from which it takes its name. In this case, the strap is made from zebra-print calfskin leather sewn onto black rubber which is both comfortable and flexible. 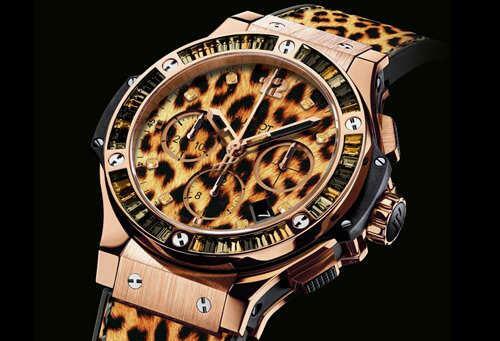 The Zebra model is also available in 18K red gold, and white ceramic and is made in a limited edition of just 250 pieces for each of the three designs, so there is destined to be a fight down at the drinking pool.